The Hawkesbury Institute for the Environment leads Western’s research into the Environmental Sciences and their application to sustainability. Drawing on the University’s unique proximity to areas facing the acute pressures of climate change adaptation and changing land-use, Western undertakes essential research into soil biology, ecosystem integration and function, sustainable agriculture, food security and plant and animal adaptations to a changing climate. Researchers drawn from across the University work in inter-disciplinary teams at the cutting-edge of their fields and have access to large-scale, innovative research infrastructure to advance global research. 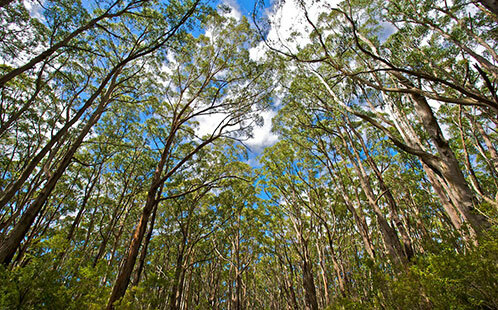 EucFACE, (opens in a new window) the only native forest free air carbon enrichment facility worldwide, allows researchers to field test the effects of increased atmospheric carbon on mature trees. The National Vegetable Protected Cropping Centre (opens in a new window) glasshouse research facility is among the most technologically advanced of its kind. 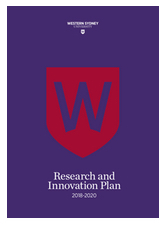 The advances in protected and intensive cropping this facility enables are positioning Western Sydney University as a global leader in technology augmented food production. Coal mines have an impact on the waterways that surround them, but until recently, the government only regulated a handful of these impacts. In the Sydney Basin, this has led to hazardous levels of heavy metals in waterways – including waterways flowing through the Blue Mountains Heritage Area. Dr Ian Wright ’s work on the impact of coal mining on the Georges and Wollongambe Rivers has led to better regulation of wastewater discharge impacts from coal mining. To make this change, Ian had to work with government, industry and concerned community stakeholders, between whom suspicion, hostility and disengagement had built over a long period. By focusing on consensus and evidence, Ian and his team have made breakthrough changes to the health of rivers in Sydney. One of these changes is improved water quality and aquatic life in the Georges River. The improvements in aquatic life include signs that sensitive freshwater macroinvertebrates (such as mayflies, caddisflies and stoneflies) are returning to the Georges River to reaches that were previously contaminated by the mining wastewater. Public reporting of contamination testing required under EPA licence conditions shows substantial reductions in contaminants such as salinity, cobalt, copper, lead, zinc and manganese.